0620 home green Rendering of the home Chris Weissflog, who operates the renewable energy firm Ecogen Energy, is building for his family. Among other green features, its solar panels will meet most of the 3,000-square-foot homeÄôs heating and cooling needs as well as powering a greenhouse with an extended growing season. With story by Patrick Langston. >” […] The falling price of technology may still help us out of the quandary. The CHBA is currently developing a net zero and net zero-ready labelling program for home builders and renovators. A net zero home typically uses photovoltaic panels to produce as much energy as it consumes, generally selling excess electricity to the grid. 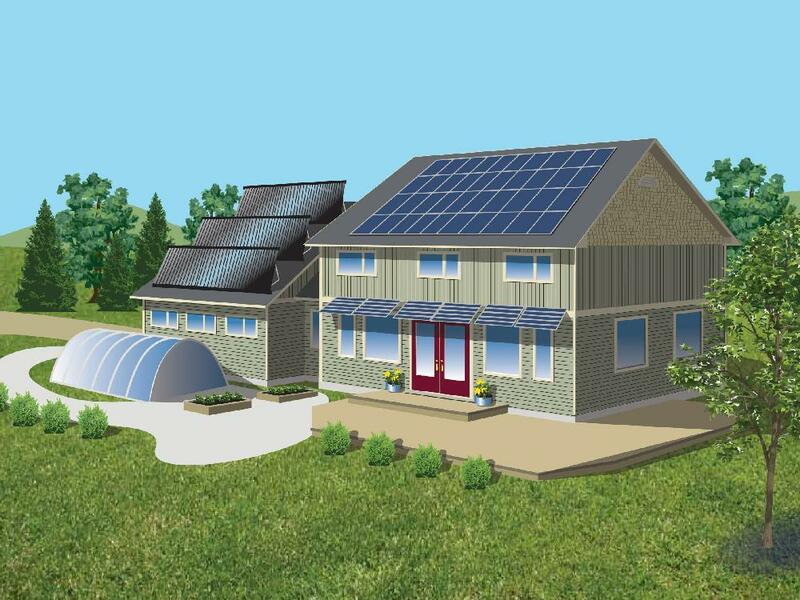 A net zero-ready home is set up for, but does not include, the photovoltaic system. This entry was posted in Energy Efficiency, Net Zero, ReBlogs and tagged Building Envelope, Construction, Green Building, LEED's, Photovoltaics, Renewable Energy, Sustainability by duanetilden. Bookmark the permalink.